Those of you attending the 2018 edition of Universal Studios’ Halloween Horror Nights in Hollywood this year will get to experience The First Purge for themselves, in a new maze inspired by the latest film in the franchise, which is currently in theaters. 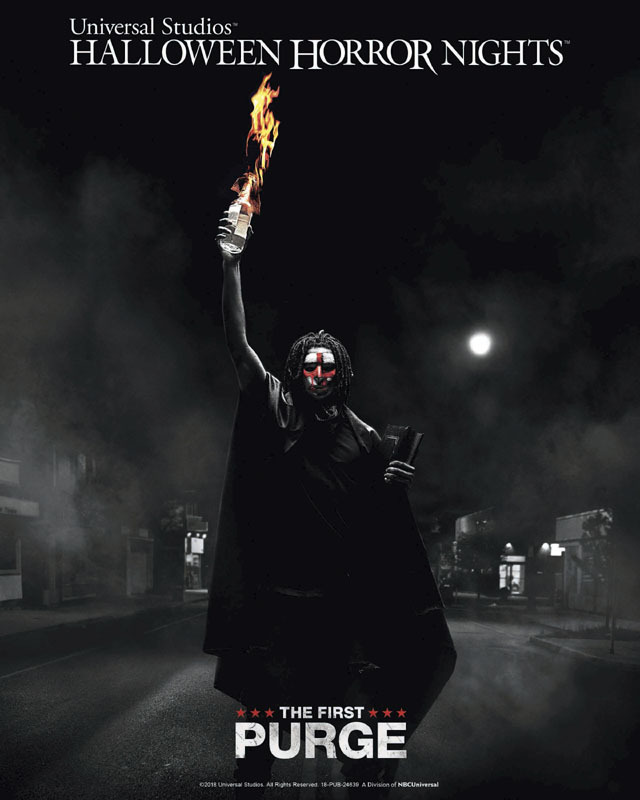 Guests will have to rely on luck and speed as they navigate their way through the chaotic new maze, bringing to life the events of The First Purge, the prequel that is the fourth film in the hit Blumhouse franchise. The First Purge joins the previously announced Trick ‘r Treat and Stranger Things 2018 attractions, among others. You can check out the announcement video below. See all Universal Halloween Horror Nights announcements here! Halloween Horror Nights kicks off on Sept. 14 and runs on select nights through Nov. 3 at Universal Studios theme parks in Hollywood and Orlando.